Hey guys! 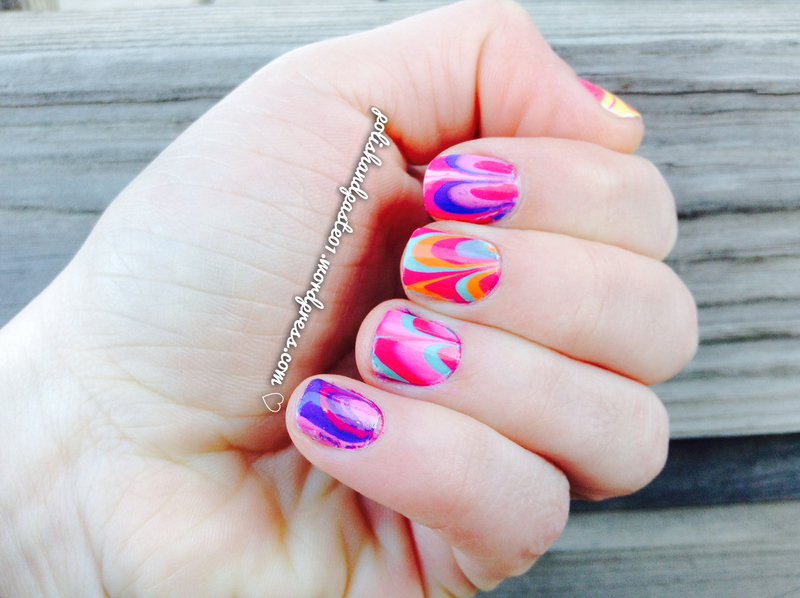 Today I’m sharing a water marble design. 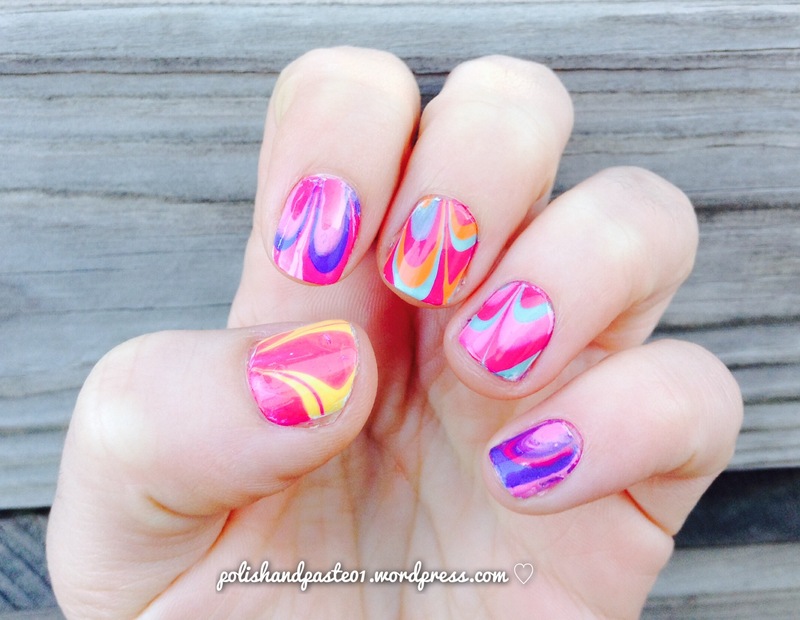 I tried water marbling in the past multiple times and I always ended up with a huge mess hehehehe. For some reason the stars aligned and it worked this time, which made me very happy! 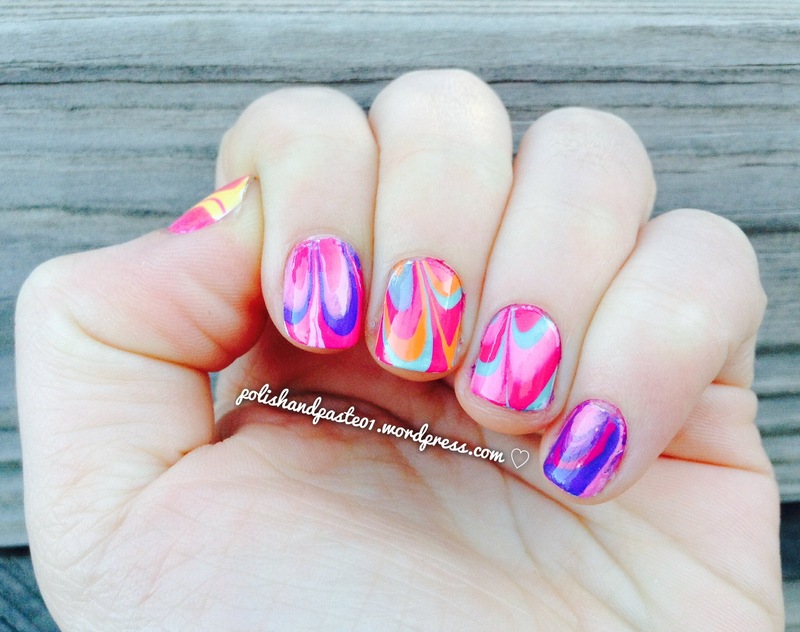 I think this type of mani would be so fun to wear in summer, and I’m really liking this color combo 🙂 Have you guys tried water marbling? Do you like it? hmmmm, could you give instructions please??? Looks great! Marbling can be so infuriating but once you get the hang of it, it’s so fun! Ooh, great one on your middle finger. I have no problem with the technique itself, but creating the designs never, ever works out – it’s mostly just pretty, psychedelic swirls.